Are you ready to face the ASEAN Economic Community? The biggest professional event to prepare your bright future career is coming! 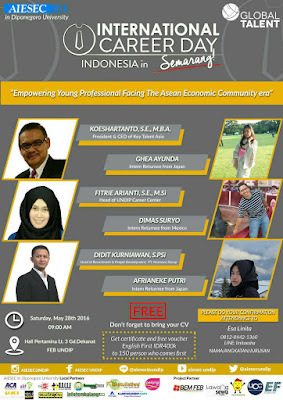 Join us on International Career Day 2016 "Empowering Young Professional Facing The Asean Economic Community era". Don't forget to bring your CV. 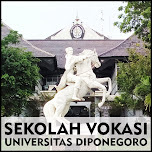 Get certificate and free voucher English First IDR 400K to 150 person who comes first.